This image was acquired by Landsat 7's Enhanced Thematic Mapper plus (ETM+) sensor on January 11, 2001. This is a false-color composite image made using shortwave infrared, infrared, and green wavelengths. The image has also been sharpened using the sensor's panchromatic band. Image provided by the USGS EROS Data Center Satellite Systems Branch. 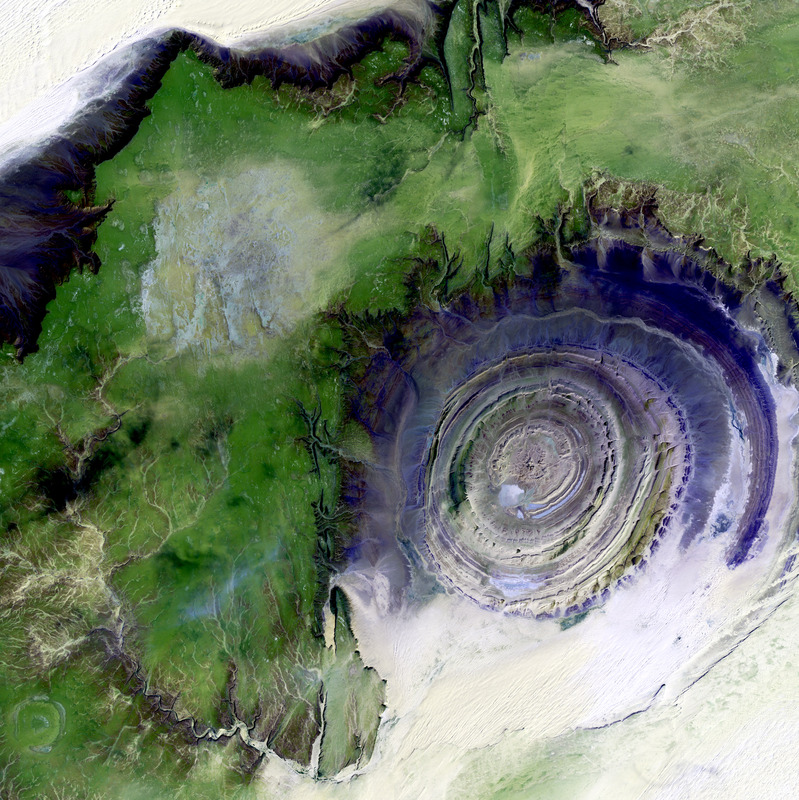 This image is part of the ongoing Landsat Earth as Art series.